and a Star Wars Vinyl Yoda Bank! Marvel Fans will love to collect their change in this really awesome Captain America Bust Bank. 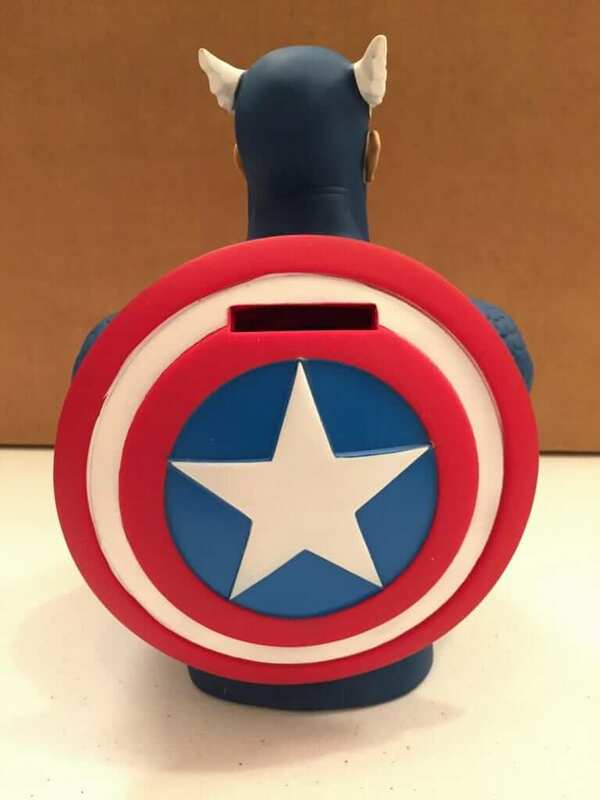 This bank is 7 1/2′ tall and made of a very durable plastic, which makes it a great gift idea for that younger Captain America fan. It’s not going to break! So, Captain America is not your favorite Marvel character? That’s okay, there is a wide variety of character bust banks to choose from! A quick search for “Marvel” on their websites shows you can also get this bank in the form of Deadpool, Dr. Doom, Hulk, Iron Man, Spider, Thor, Venom, Wolverine, Wonder Woman and more! 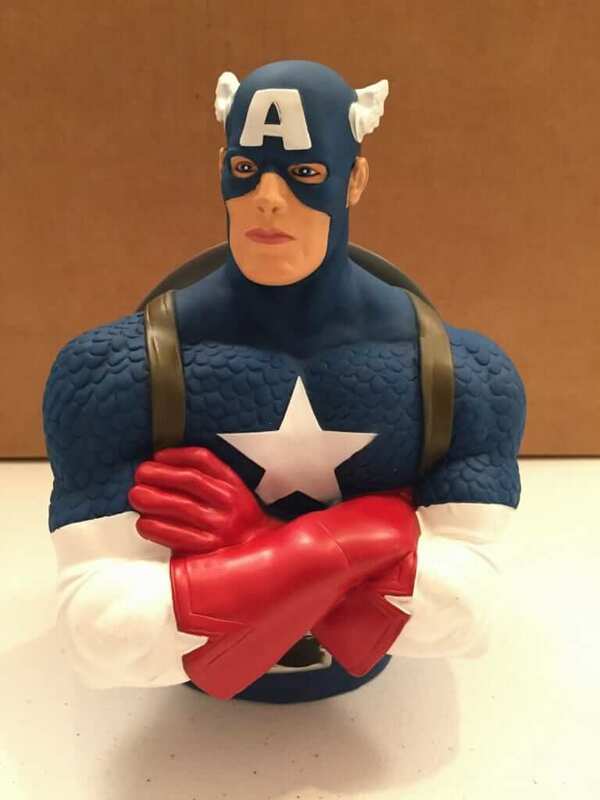 You can purchase this Captain America Bank for $7.50! Make sure to take a look at all the other “stupid” things you can purchase at Stupid.Com.